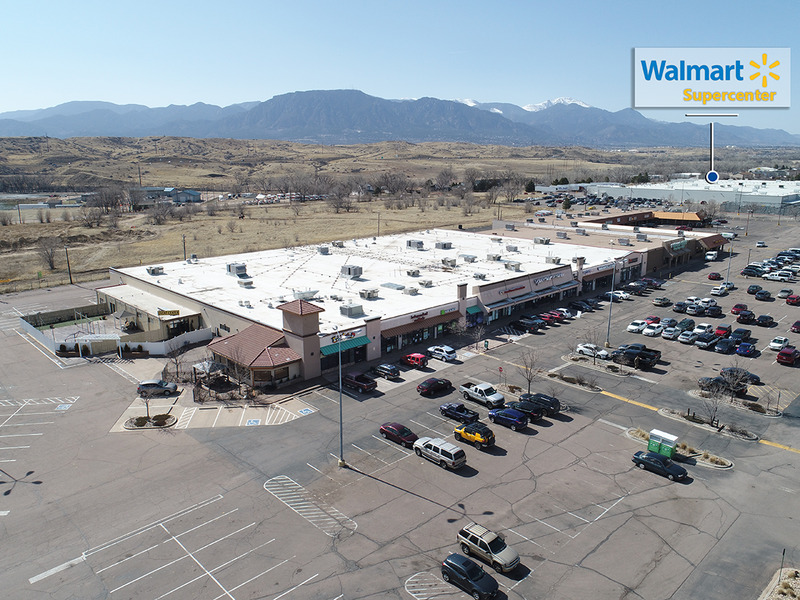 As the exclusive agent for the seller, SVN Denver Commercial is proud to present The Mart Shopping Center for sale. This is a tremendous opportunity to purchase a stabilized retail center with excellent in place income and upside potential through the below market rents. 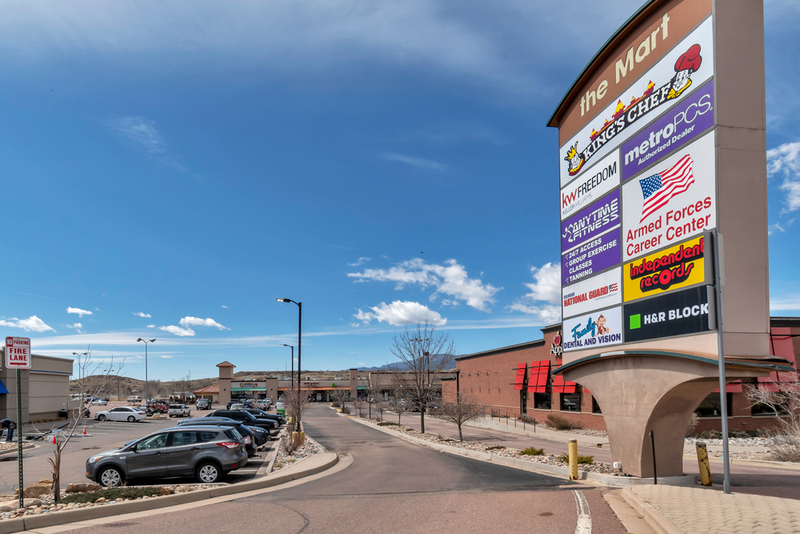 The Mart is an acclaimed redevelopment of a former vacant K-Mart and is now currently 97% occupied with an average rental rate of $10.65 per square foot. 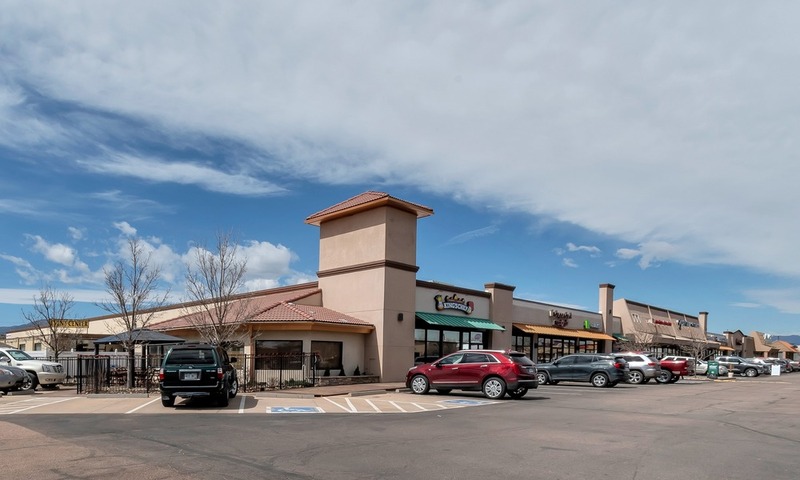 This is far below the average retail lease rate in Colorado Springs which is at $16.81 per square foot NNN. 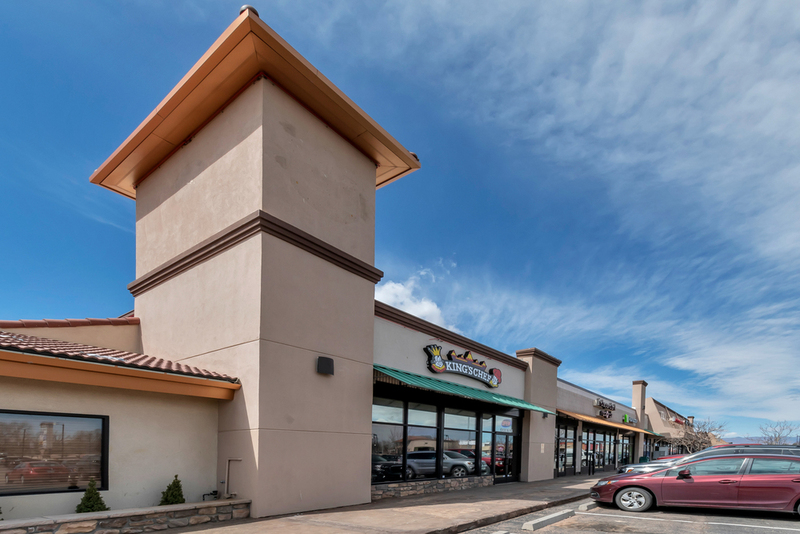 The subject property has staggered lease expirations and notable e-commerce resistant tenants such as Anytime Fitness, Keller Williams, Metro by T-Mobile, H&R Block, and the State of Colorado. The property is shadow anchored by Walmart and Dollar Tree with several national tenants in the shopping center. This asset offers an extremely attractive initial cash-on-cash return projected at 9.93%. There is also approximately $1.5 million dollars in available cash for capital improvements from a recent insurance claim, which will provide a new roof, hvac units, and an upgraded facade. 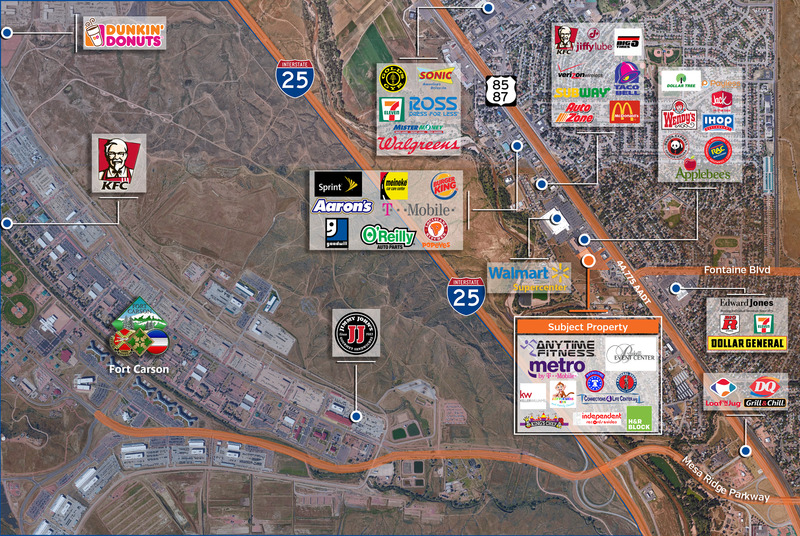 The subject property is located directly along US Hwy 85-87 in the southeast sub-market of Colorado Springs. US Hwy 85-87 is an incredibly busy thoroughfare with nearly 45,000 vehicles traveling by the property each day. The Mart is shadow anchored by the main Walmart Supercenter that services Fort Carson, which is just over 3 miles away. The surrounding area has over 125,000 residents within a 5-mile radius including an approximately 26,000 person population at Fort Carson. 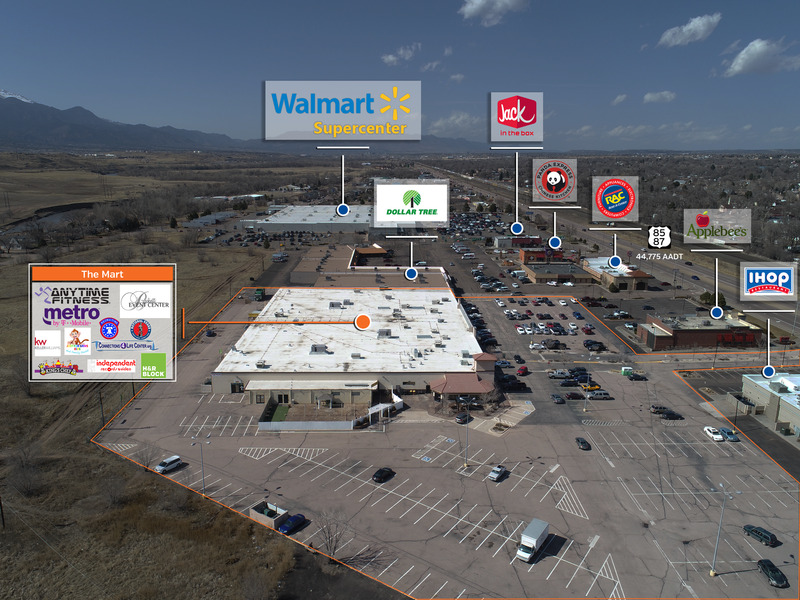 The subject property resides in the most active shopping area within its submarket with national credit tenants including Wal-Mart, McDonald's, Jack N the Box, Panda Express, Dollar Tree, Rent-A-Center, AutoZone, IHOP, Wendy's, and many more!